If you haven't already heard, the infamous Jackson clan has revealed that a new cute, cuddly, and probably musically-inclined baby will make it's debut later this year. Janet Jackson has announced that she is pregnant. This baby will be the first for Janet and her husband of four years, Wissam Al Mana. Because this is 2016, I don't need to tell you that the internet is buzzing with questions, concerns, and cautions for the mother-to-be. To be perfectly honest, I've had those fleeting thoughts as well, but they eventually left and I pondered an interesting thought that I want to tell Janet, as if we are two old friends meeting for breakfast to celebrate our birthdays together. It's not one else's business when, how, at what age, you should have a baby, period. In total transparency, I need you know that I had to say that to myself as well. When I sat down to write on this topic, I was going to warn our friend Miss Janet about the emotional and physical health concerns of pregnancy and motherhood. I was going to give her tips that she needs to know, because after all, she will be 50 by the time she gives birth. That was the stupidest thing on earth that I could have ever done. In our society we tend to shame a woman for a decision that she has made as part of a couple. The word couple typically means they made the decision together. So, I changed the focus of this post to writing a list for Wissam, Janet's husband. In all honesty, Wissam is no spring chicken either, and as a new father he will need to know what he's in store for. 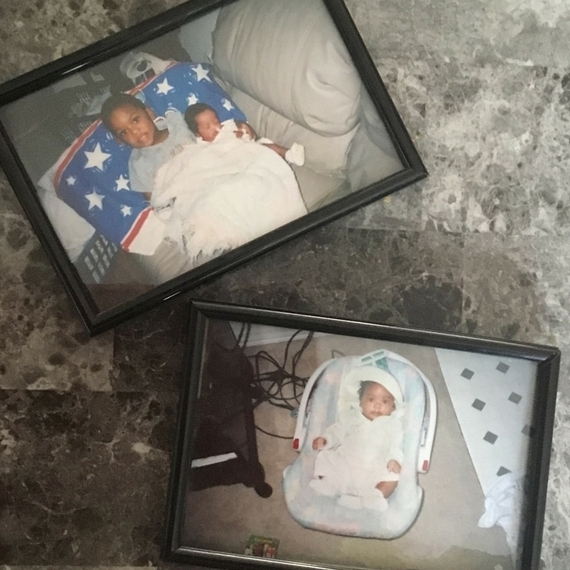 I couldn't imagine years ago that my sweet babies in the photo below would grow up to be the teens they are today so I'm sharing what I've learned with Wissam. 1. You may feel like a walking zombie. More than once. Before the baby is born. Janet may have some sleepless nights while pregnant and most definitely after the baby is born. Rub her back if she needs it, listen to her concerns, offer to make her a warm cup of tea. 2. It's not all about working to provide for your family. I get it. A baby changes our thoughts and hopes for the future. Everything you do now will be about that baby's future. Just don't think that you have to throw yourself into your businesses for the sake of your family. You need to throw yourself into the love and care of your wife and your child. 3. Understand that her hormones will never be the same. Pregnancy causes the body to change and the surge n emotions are sometimes too much to bear. She will be cranky, weepy, estatic, and sometimes depressed. Talk to her through the changes, and recognize that your hormones will probably change a lot too. Once the baby is born, understand that motherhood and fatherhood is about having a piece of your heart (that precious little baby) outside of your heart and vulnerable to the world. It you and Janet's job to protect that baby, but also to protect each other through this adjustment. 4. Cabbage leaves will be her best friend during the first few weeks postpartum. Trust me on this. Just make sure that the refrigerator is stocked. And no, you won't have to eat them. 5. Everyone will have something to say about pregnancy and life with a new baby. Listen to the advice, smile graciously, and believe what you want to believe. 6. Immediately after this baby is born, you will be asked about the second baby. Once you give a politically correct answer, all the dangers about your ages will start again. You and Janet should decide how to address those questions and be on one accord. 7. Join BabyCenter but don't become obsessed. BabyCenter does an excellent job of explaining the stages that your growing baby is going through in utero, but don't over do the info gathering. It will leave you convinced that something is wrong with your health, the baby's health, and Janet's health. 8. Enjoy this season. 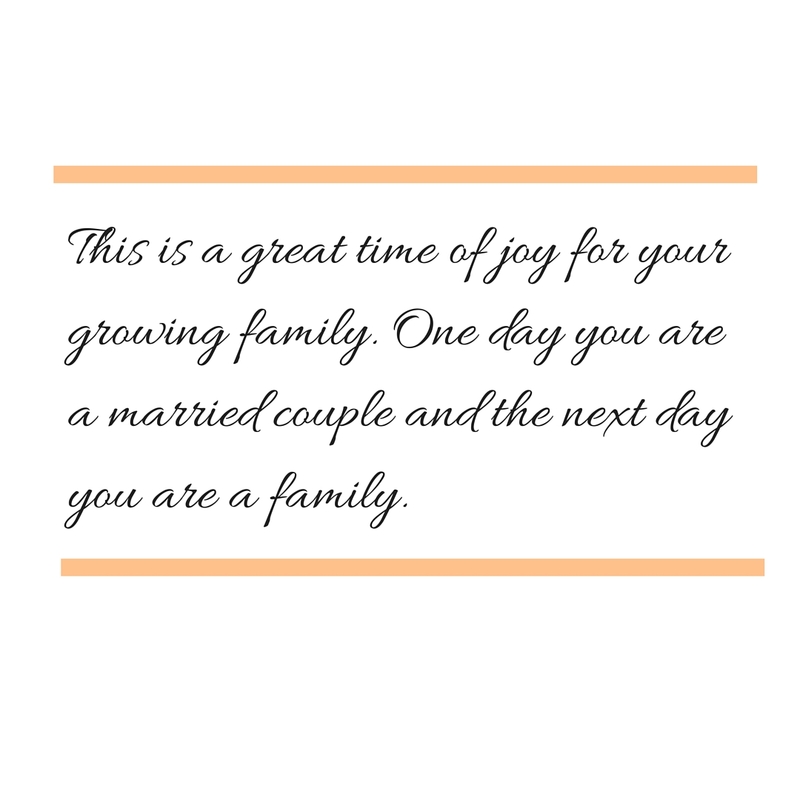 It's a great time of joy for your growing family. 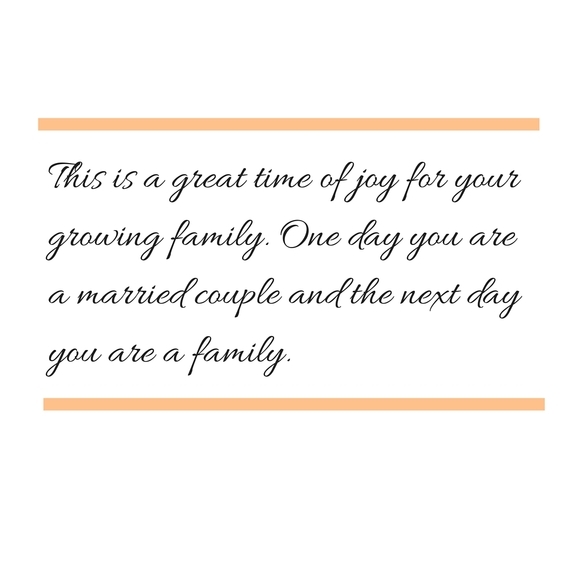 One day you are a married couple and the next day you are a family. There will be good times and some not-so-good time but parenthood is by far the best job in the world! It's been 16 years since I experienced my first pregnancy, and 13 years since my last, but I'm curious. What advice would you give new parents like Janet and Wissam?